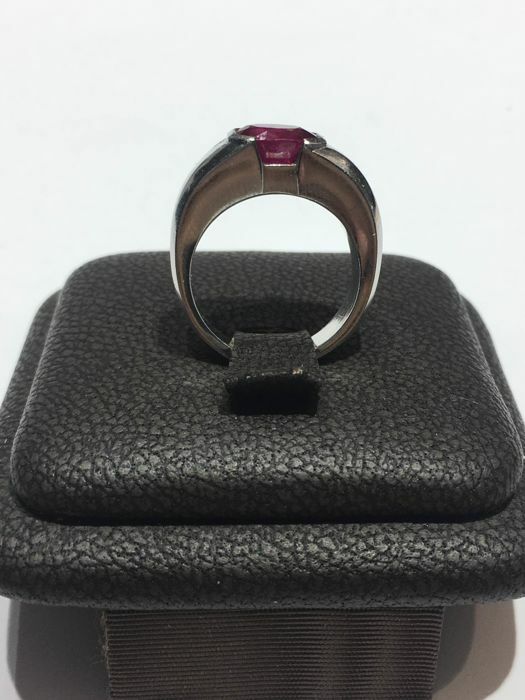 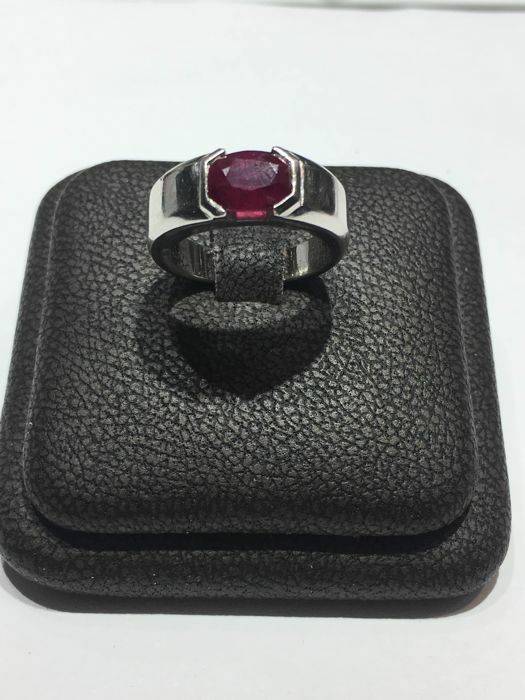 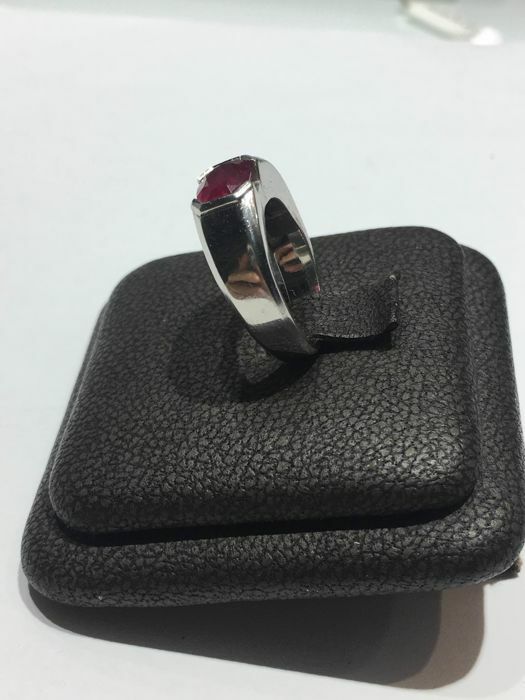 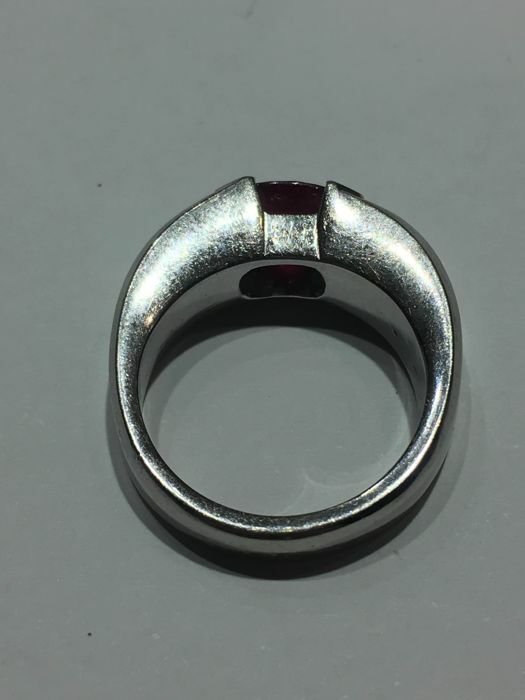 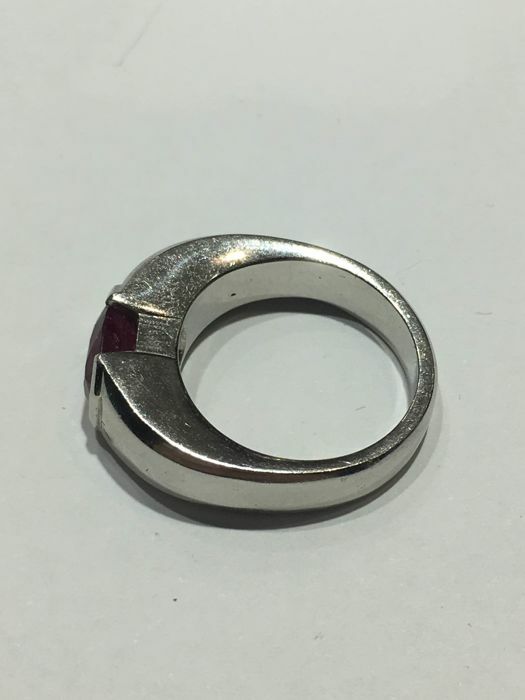 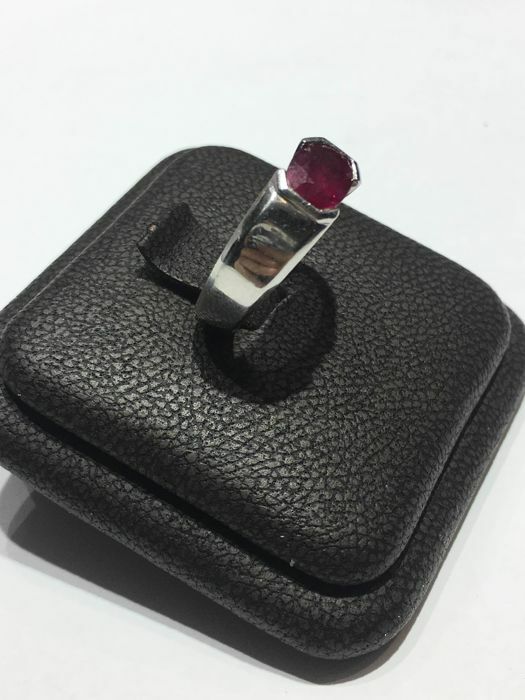 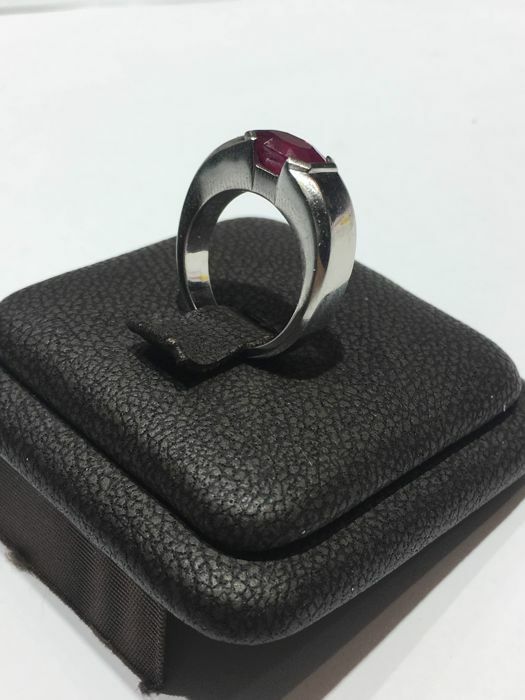 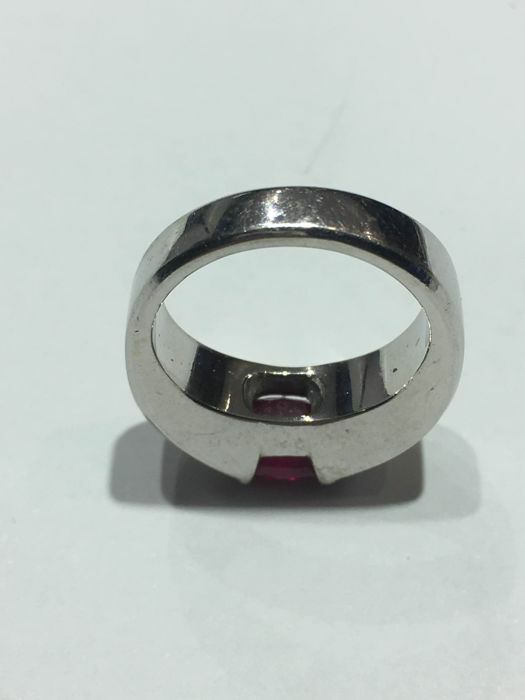 18 kt white gold ring with natural oval cut ruby in the centre. 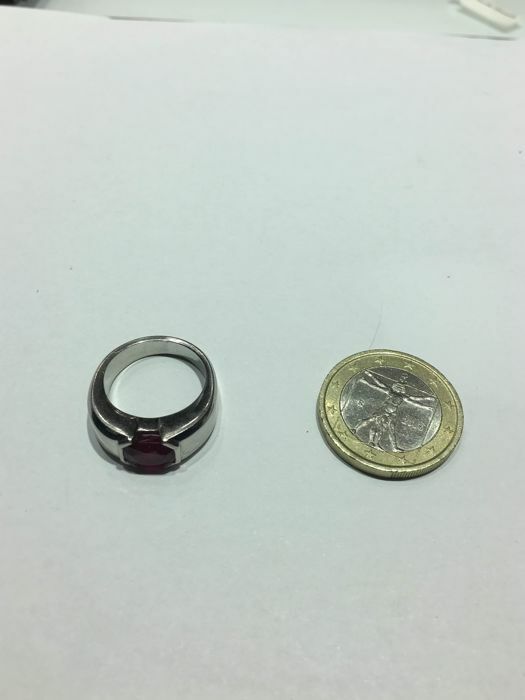 The ring has no gold hallmarks, but it has previously been tested. 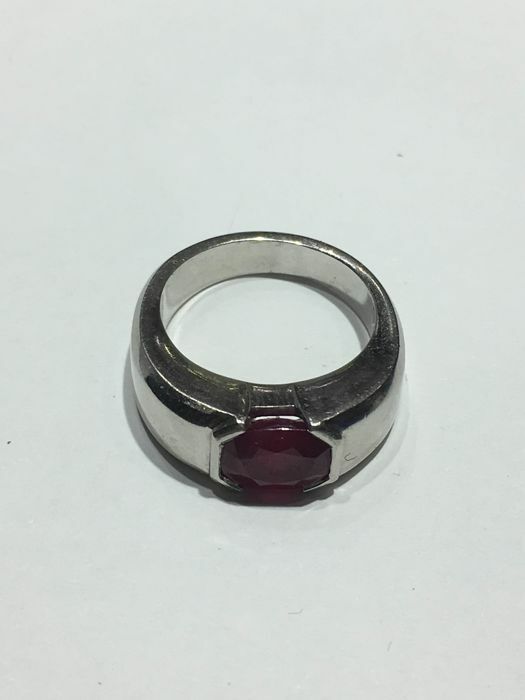 This ring is of modern manufacture, probably made in Italy.